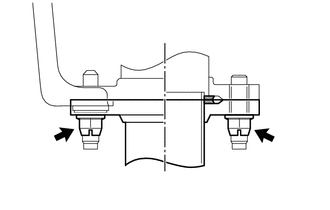 (a) Remove the 2 bolts to separate the tail exhaust pipe assembly. (b) Disconnect the 4 exhaust pipe supports to remove the tail exhaust pipe assembly. 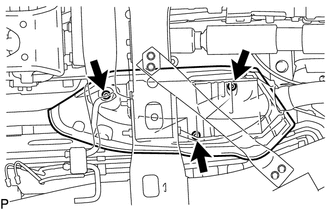 (b) Remove the 2 bolts to separate the center exhaust pipe assembly. 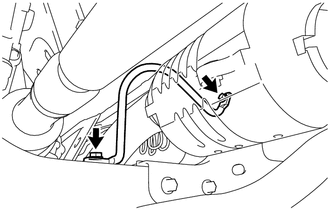 (c) Disconnect the exhaust pipe support to remove the center exhaust pipe assembly. 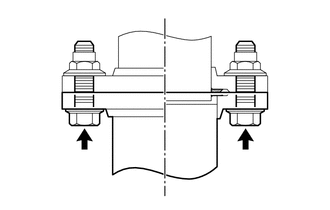 (a) Remove the 3 nuts and center No. 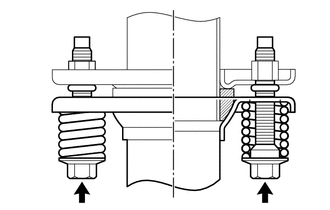 2 floor heat insulator sub-assembly. (a) Remove the 2 bolts and exhaust pipe stopper bracket. 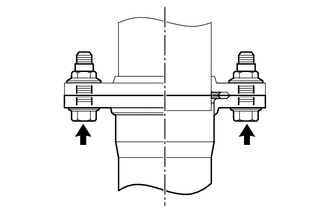 (a) Remove the 2 nuts to separate the front No. 2 exhaust pipe assembly from the exhaust manifold LH. (b) Disconnect the exhaust pipe support to remove the front No. 2 exhaust pipe assembly. 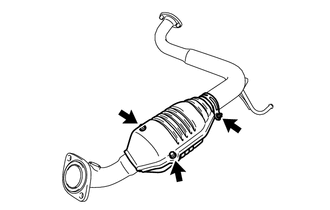 (a) Remove the 2 nuts and front exhaust pipe assembly. (a) Remove the bolt and clamp. 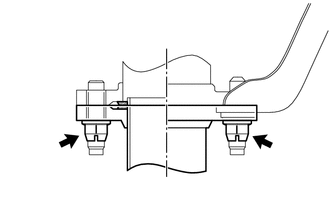 (b) Remove the 2 bolts, 2 nuts and upper monolithic converter protector and lower monolithic converter protector.